Washington (CNN) President Donald Trump says he’s returning a favor by recording a campaign robocall in the Senate Pennsylvania primary for one of his earliest supporters in the 2016 presidential campaign. In the two-minute call, Trump points to Barletta’s early backing of him in the 2016 presidential race. Trump narrowly won Pennsylvania in the contest. Trump highlights Barletta’s conservative immigration positions and his support for the GOP tax overhaul that passed in December. Politico was the first to report on Trump’s robocall. 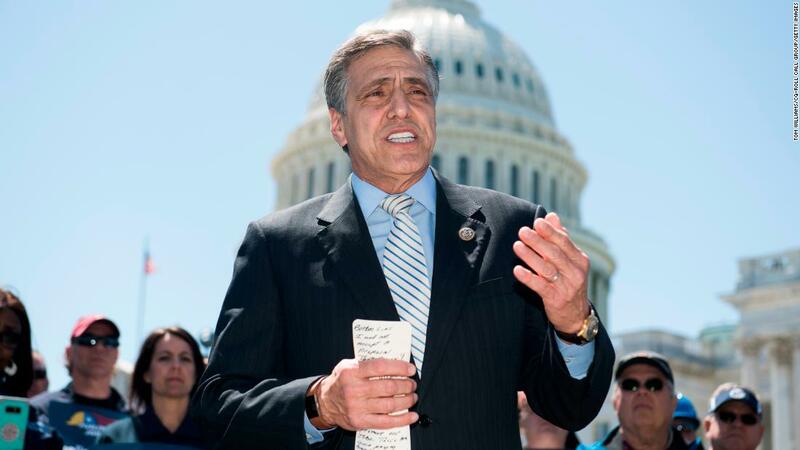 Barletta, a four-term congressman representing the Pennsylvania 11th, entered the Senate race last August on the promise he’ll make “Pennsylvania and America great again,” faces state Rep. Jim Christiana in the Republican primary Tuesday. Trump endorsed Barletta over Twitter in February. Before joining Congress, Barletta was mayor of Hazleton and enacted tough measures to crack down on illegal immigration, including one that allowed the city to impose fines on landlords who rented to undocumented immigrants and deny permits to businesses who employed them (the ordinance was struck down in federal court). As mayor, Barletta also did an interview with a fringe publication that promotes Holocaust denial and headlined a rally where a political activist and musician who has both questioned the Holocaust and promoted conspiracies about the September 11, 2001 attacks, also spoke and performed, CNN’s KFile reported. Barletta’s deputy campaign manager told CNN that Barletta was not aware of those individuals’ background.